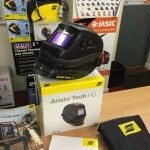 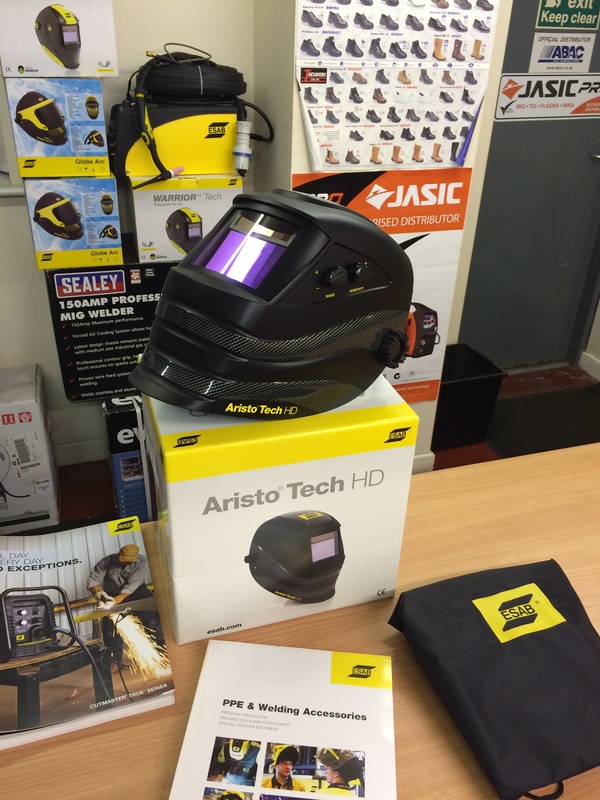 ESAB's new Aristo Tech HD auto darkening welding helmet is one of the best helmets on the market. 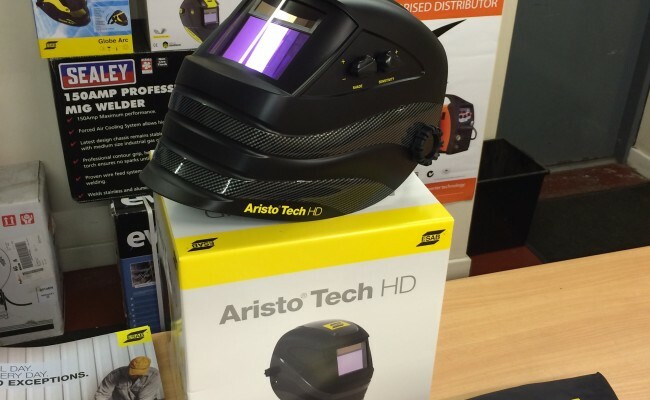 With a x2 digital knobs to adjust shade and sensitivity, this Aristo Tech HD has been designed to cater for plasma cutting usage, capable of going down to shades 5 - 13. 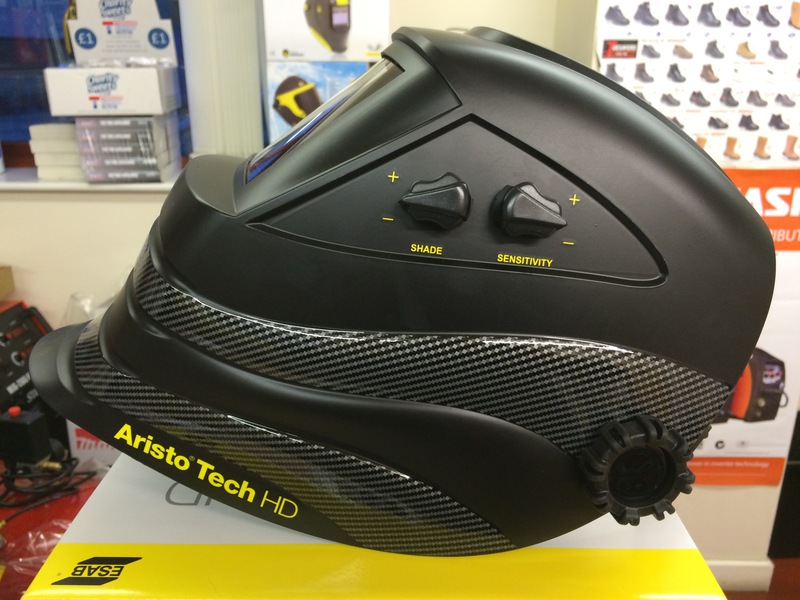 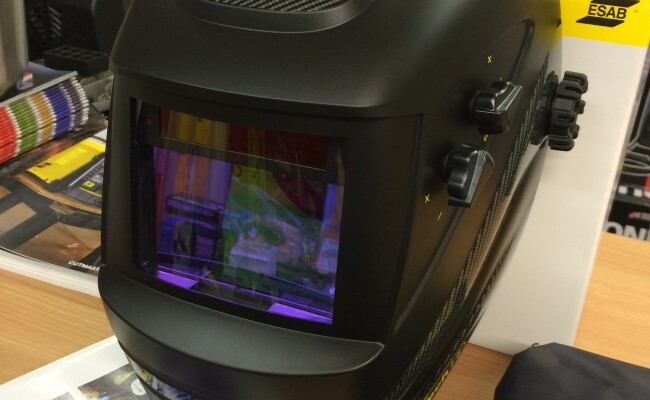 There is also an additional Aristo Tech HD model which includes a full face flip up clear grinding visor. 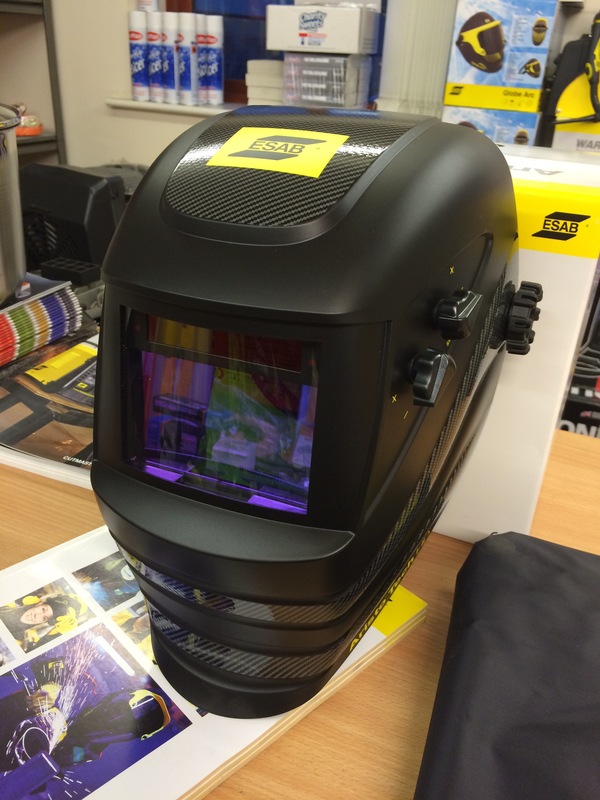 This internal visor model part number 0700 000 467 is our all time favourite welding helmet. 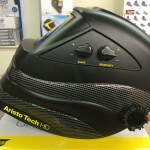 Lastly, there is also the 'prepared for air' Aristo air kit Aristo Tech HD with internal visor model, which includes ESAB's highest spec backpack. 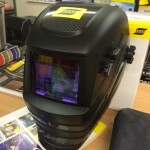 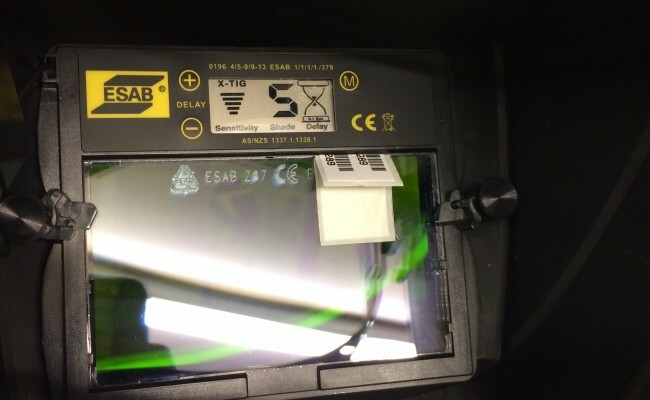 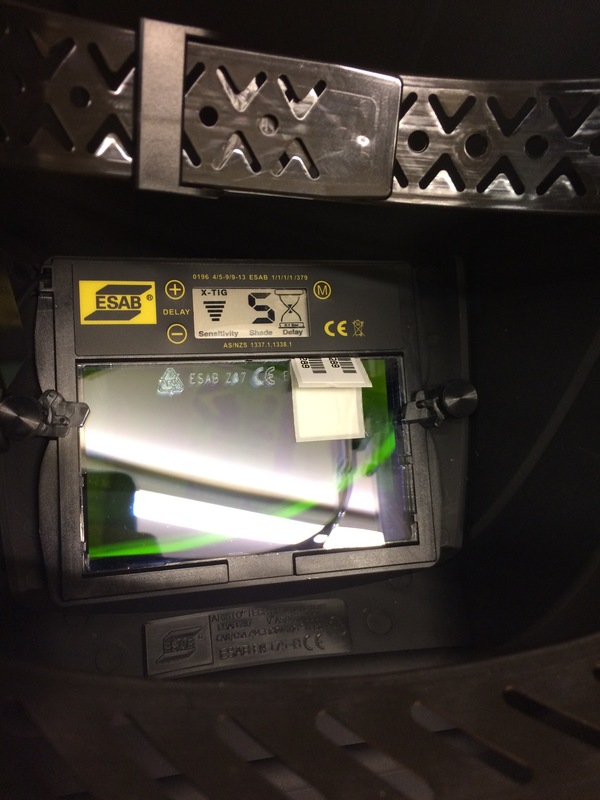 The entire fresh air fed helmet part number 0700 002 174 is what ESAB have created to better the legendary Speedglas 9100FX. 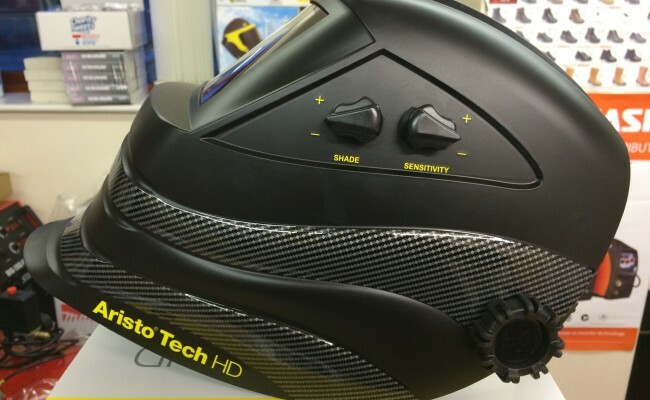 The Aristo® Tech HD stands for “High Definition” - with its new matt black shell, newly developed X-Tig feature & optical class 1/1/1/1 represents the ”best in class” performance from an auto darkening filter cartridge (ADF). 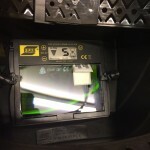 The newly developed X-Tig feature enhances the ADF’s ability to react in low amp applications and almost eliminates sunlight interference and obstructed sensor occurrences.